Pine Township has a lot to offer potential residents. Not only does the area strive to provide a healthy and fun lifestyle for its residents, it also takes pride in sustainability, appearance and building community. Our team of REALTORS® at Weichert Realtors(R) - Achieve has created this Pine Township real estate guide to help you make the decision if buying a house in our community is the right choice for you. Considered one of Pittsburgh’s up-and-coming neighborhoods, Pine Township is located about 25 minutes north of Pittsburgh. The township has excellent access to both I-76 and I-79, making it easy to get around the region. 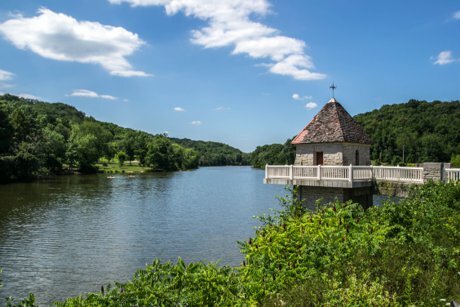 As part of Allegheny County, Pine Township is nestled near North Park, a stunning 3,075-acre park that features a nature center, recreation, and events. The main makeup of the local market is single-family homes. There’s a distinctive colonial vibe, and houses tend to be ideal for families who want room to grow. You can also find several custom estates that have plentiful modern amenities and ample property. Enjoy beautiful views and meandering neighborhoods. For homebuyers with a vision, there are also lots available to create your own custom design. There is also a tremendous golf course community called Treesdale. Pine Township and the surrounding area both have excellent ways to spend your time. Within the community you’ll find food, parks, a top-notch community center and sites of historical interest. Within nearby North Park, you can find golf courses, dog parks, shops, restaurants, hiking and biking trails, a running path, athletic fields, and an outdoor ice rink. Pittsburgh is 19 miles away, which adds extensive arts, culture, and bigger attractions for when you’re craving something more. As for events, Pine Township hosts several throughout the year, and gatherings from the Fourth of July and summer movies to Christmas and The Taste of Pine are covered on the community calendar. Parents will be thrilled by Pine Township’s solid public school system. Pine Township is within the Pine-Richland School District. With strong rankings and good reviews from local residents, education is clearly a priority. The high school has much to offer with sports and other extracurricular programs. If you prefer private education, it can also be found nearby, and Pittsburgh is a major hub for higher education. Pittsburgh’s thriving economy is a easy commute down Route 279 for those who want to live outside the city. The recently released list of top employers for Allegheny County included UPMC Presbyterian Shadyside, the University of Pittsburgh, the federal government, PNC Bank, Giant Eagle Inc., Western Penn Allegheny Health, and Allegheny County. Many residents of this area also work closer to home in business hubs like Wexford, Cranberry Township, Marshall Township's Thorn Hill Industrial Park, or Butler, PA.
One thing that makes an area a great prospect is community. The stronger the community, the better. Pine Township has several ways for residents to stay involved. Whether you choose to come together with people for fitness, classes, or multigenerational events at the community center or participate in an advisory board, committee, or volunteer in some capacity, there are many ways to network and connect. Working with an experienced real estate team makes it easier to find the right home for you and your family. If you’re interested in starting a search for Pine Township homes for sale, let our team of local area Pittsburgh REALTORS® help you. 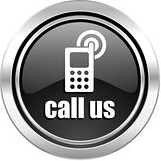 When you're ready to get started, contact us.